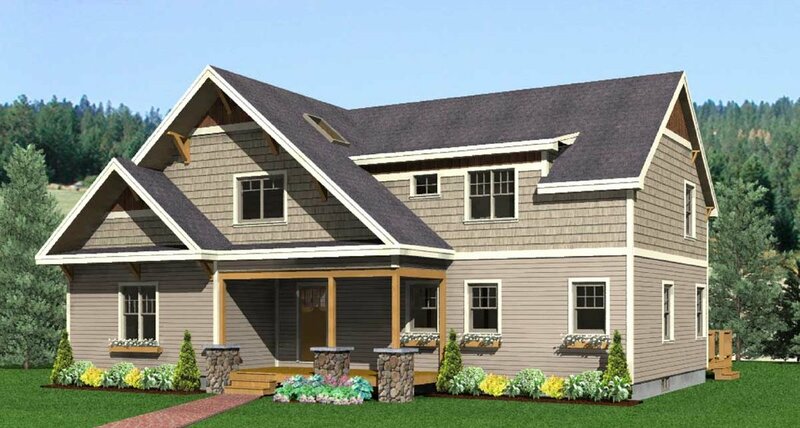 The Adirondack's distinctive front gables and dramatic roof overhangs hint at the spacious rooms and open floor plan within. 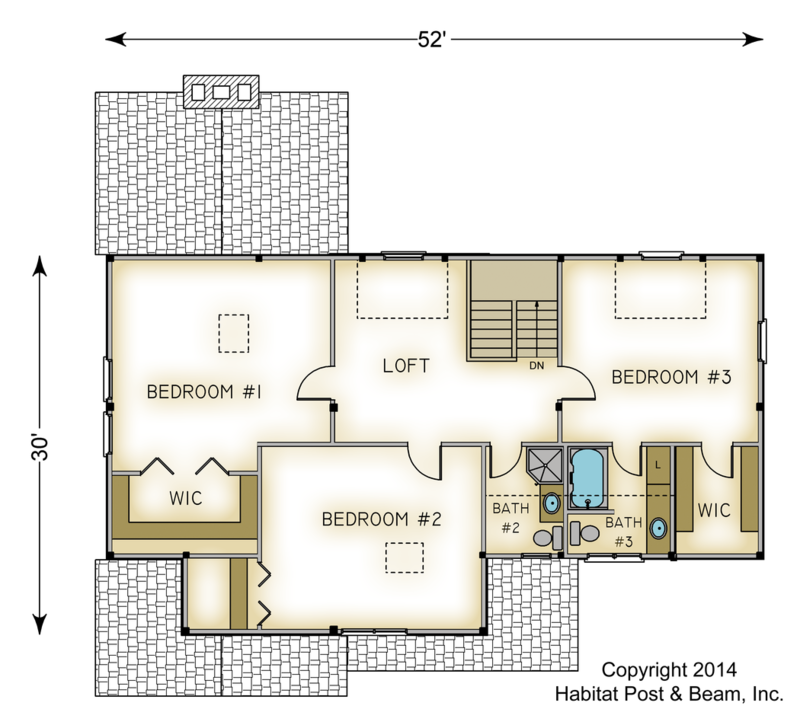 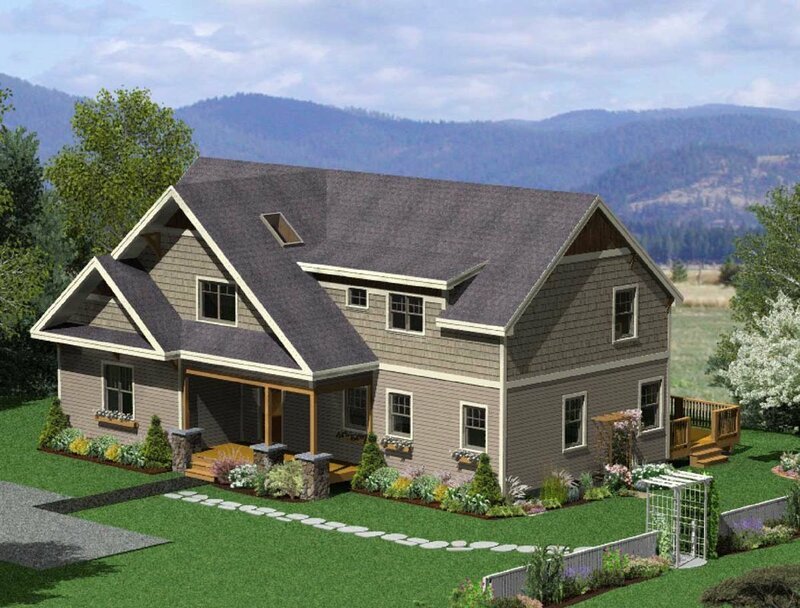 Four bedrooms and a generous entry porch provide the versatility necessary for a family and for entertaining guests. 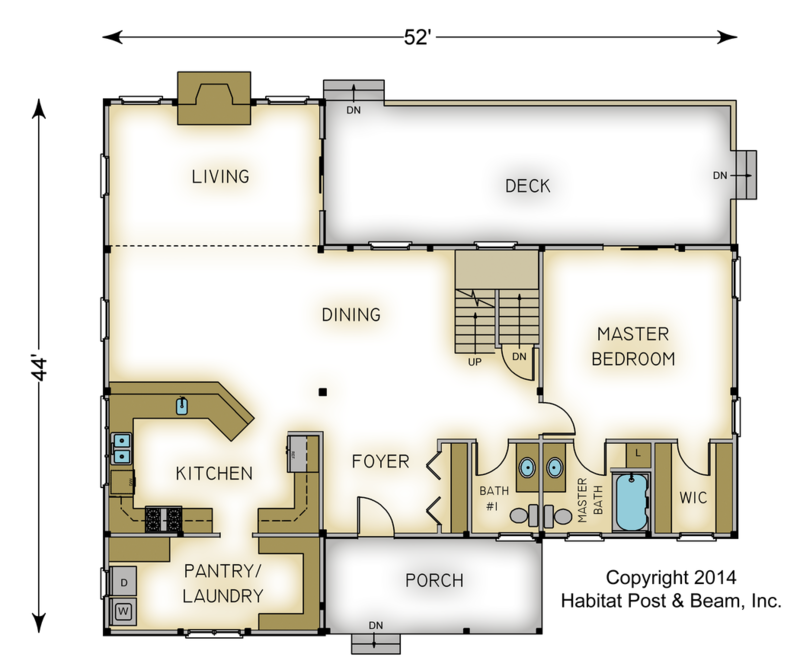 Package Price: $189,781 as specified below (from $185,049 to $238,127 depending on framing options). 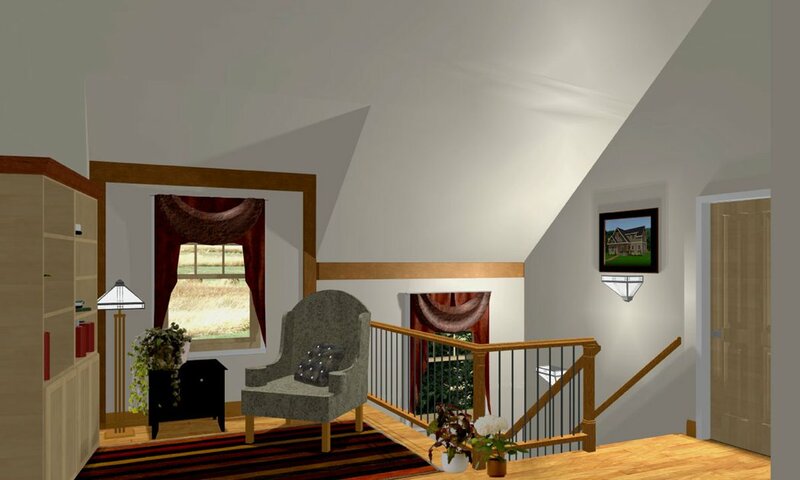 The standard price includes our Beamed Wall System, Plaster and Beam or Beamed Mid-Floor System (same package price), our Beamed Roof System over the living area, and our Plaster and Accent Beam Roof System over the remainder.